When adding a text markup, it is possible to automatically copy the highlighted text to the annotation notes. 3. 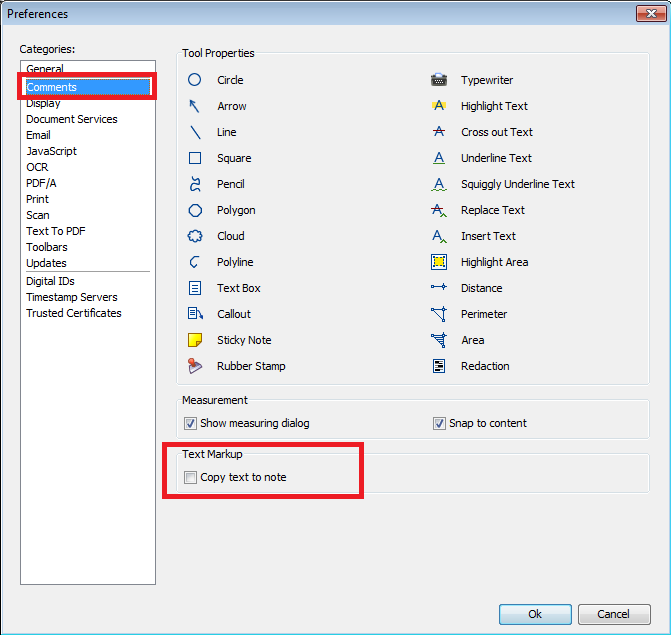 CHECK / UNCHECK the “Copy text to note” box from the Text Markup section to turn on / off the feature.